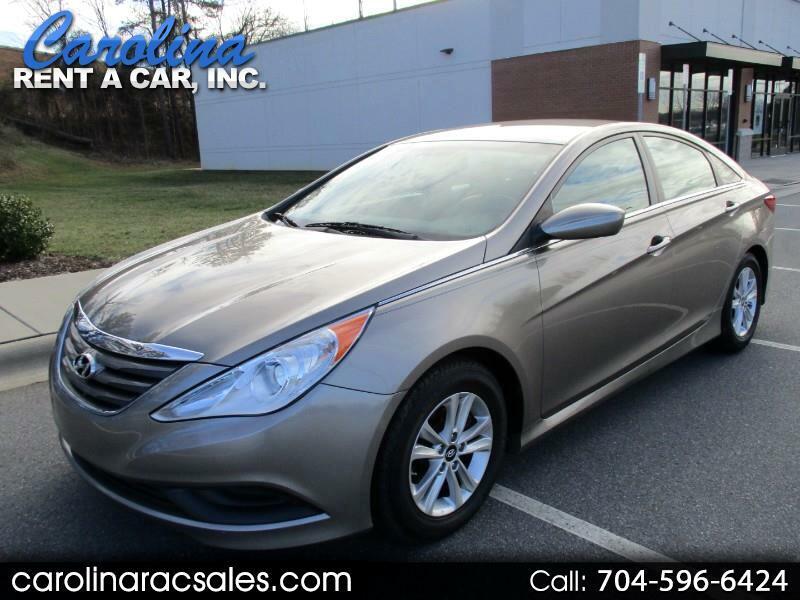 Used 2014 Hyundai Sonata 4dr Sdn 2.4L Auto GLS for Sale in Charlotte NC 28213 Carolina Rent A Car, Inc. Very nice Sonata located in Charlotte, NC. Clean NC Title! We have all service records since 15,069 miles. Well maintained and ready for a new owner. Vehicle has power windows, power locks, cruise control, tilt steering, am/fm/cd player, keyless entry, Bluetooth, handsfree phone, steering wheel audio controls and much more. Call John at 704-596-6424 with any questions or to schedule an appointment to see this vehicle.